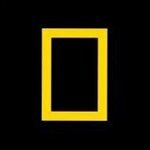 National Geographic shares global stories to inspire travelers to explore and experience the world’s cultures, people, and places. Scenic, serene and brimming with wildlife, these water-based journeys will leave you with memories to last a lifetime. Every visitor to this treasured land arrives with an expectation and leaves boggled by how vast and complicated this jewel in the rocky hills truly is. Step back in time in Edinburgh, where horse-drawn carriages drive the cobbled streets and old meets new in the most charming ways. Whether you're in town for the marathon or just planning a weekend trip ahead, experience the best Beantown has to offer. Experience a train ride that rewinds the clock—an enchanting tour of Russia's landscape that spans seven time zones and two borders. This lively metropolis sits at the crossroads of cultures from the Middle East, North Africa, and Europe—use this guide to experience the best it has to offer. Each year, millions of so-called “dark tourists” flock to these sites to witness what remains of their tragic pasts. On the eastern coast of China—some 6,000 miles from the City of Light—the Eiffel Tower dominates Tianducheng’s skyline. A replica of it, that is. From enchanting forests to majestic castles, these scenes from the Emerald Isle belong on your travel wish list.